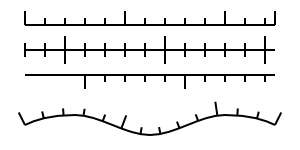 Major length: Length of major ticks. Minor length: Length of minor ticks. Offset: Offset of first tick from path start.